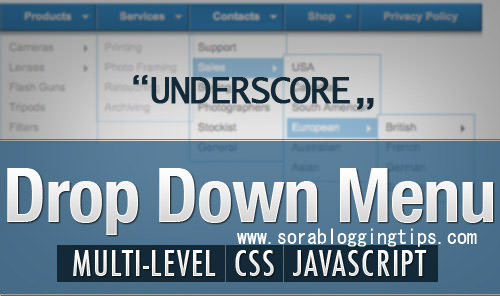 Today's topic is about How to add Underscore Dropdown menu widget in blogger, its very different than any other menu widget because you don't need any advance knowledge in HTML or any other code just install this plugin and enjoy editing your menu directly from the layout of your blogger dashboard . 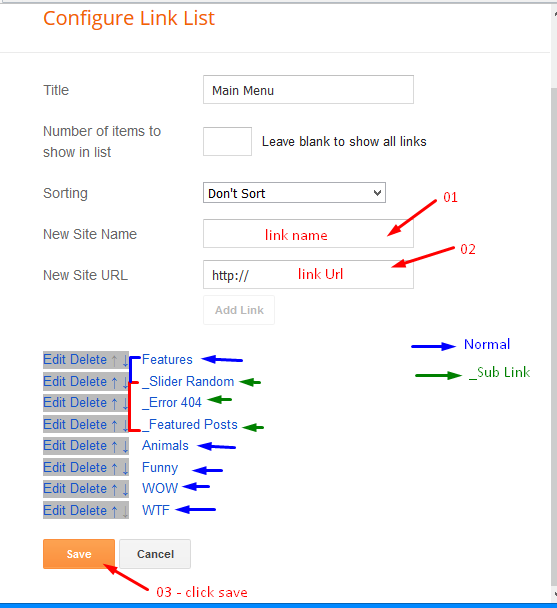 Lets move further and see How to add Underscore Dropdown menu widget in blogger. You can check a live preview of the related post widget by clicking the button below. Why Menu Widget Is Important? Well menu is the most essential part of a blog, it helps you to provide valuable links to your visitors, so that they can access your blog more easily it also helps to reduce bounce rate and keeps your visitor stay for a long time. The menu it self is very special you can't find any other tutorial or post which share such advance widget, this widget makes your link editing more easy and you don't have to edit those heck load of codes. It depends upon you that where you want to add the menu but normally blogger's prefer to add it below header. In the template, search for the <div id="header-wrapper"> tag and just below it paste the following HTML Coding. In case, you are unable to find <div id="header-wrapper">, then you can paste it just above <div class="row" id="content-wrapper">. Now Save your template and open layout to add links. Note :- the menu is works on jquery so you have to install jquery plugin if you haven't installed it yet..
Step-3 ( Adding Links and editing the menu ) - Most Important !! Now this is the most essential part of the tutorial and you have to do it very carefully.Go to your blogger dashboard > Layout > click Edit link on Main Menu widget. Note :- please take care of the Underscore you put at first, it targets the script to make the menu dropdown..
Congrats !! You have made it. now you have learned that How to add Underscore Dropdown menu widget in blogger. Visit your blog and check the awesome widget live in action, hope you liked this tutorial, if you enjoyed then please share it with your friends, we are working hard to develop more such awesome widgets please stay tuned with Us. Tchau !! (Goodbye in Portuguese). We have tried our best to explain as easily as possible. Let us know what difficulty your are facing. Currently it only supports only one dropdown.